As so many Ayurvedic Products were being launched these days. Starting from Patanjali products Now SriSri product’s were launched. We as a consumer are get confused what to buy? And the most important question: From where to buy? Or which brand is good for us? 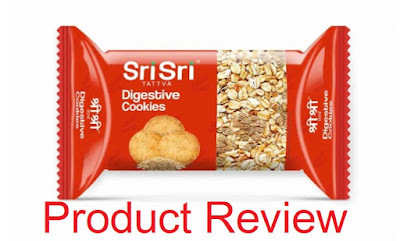 In this article, I will make an overall review of the Sri Sri Tattva Digestive Cookies. (Don’t worry this is not a paid review, all I am writing on the basis of my uses of the particular product). 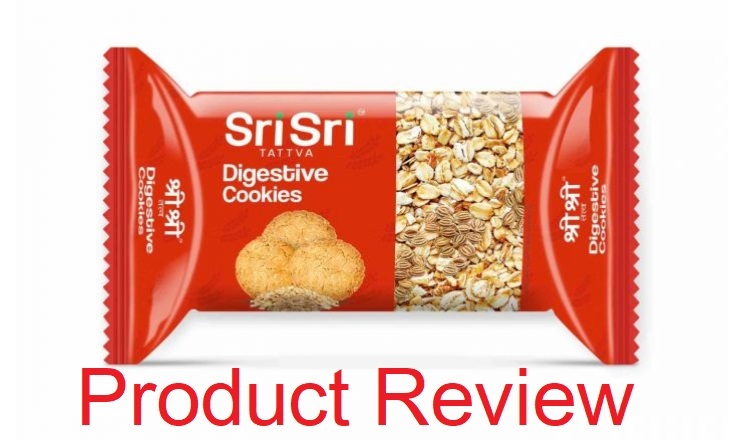 Sri Sri Tattva Digestive Cookies is made with the goodness of whole wheat flour( Gehoon Ka Atta), rolled oats(Jau ka Atta), wheat bran(Choker) and carom(Ajwain). A healthy choice for all cookie Sri Sri Tattva Digestive Cookies. Emulsifier (E322 From Soya) and Salt. Before I used this product, I had a big problem with digestion. I was going through constipation from long time about 2 to 3 months. One day my father bought this product Sri Sri Tattva Digestive Cookies from an Ayurveda shop nearby my house. I tasted this product and my first impression was like “saala Ayurveda ke naam pep ta nhi kya kya khana pad rha hai”. But due to lack of food in my house that day I ate the whole packet of Sri Sri Tattva Digestive Cookies. Next day a miracle happened and I felt something better of my constipation problem. Although I don’t know why this happened. I started reading about constipation problem and gone through many of the articles. Throughout that, I found something about the Carom(Ajwain). Actually, Carom (Ajwain) play a big role in digestion. We have so many benefits of Carom (Ajwain). 1)Carom seeds (Ajwain) benefits for stomach diseases. 2)Carom seeds oil benefits for joint pain. 3)Helpful in Cold and cough. 4)Carom powder Benefits for gums. 5)Carom benefit from a headache. There are so many benefits of Carom(Ajwain), I had gone through on the internet. And Now I am taking this product Sri Sri Tattva Digestive Cookies on the regular basis to prevent my Constipation problem. All the other Ingredients are for the quality purpose of the Cookies. Only Carom (Ajwain) is the only factor for the Digestion problem in the Sri Sri Tattva Digestive Cookies. Mix with 200-250 ml of water. Put it on the flame until the water will become 1/3 of it. Separate water and Carom and drink that water before going to sleep and after waking up in the morning. Do this method for One week on the regular basis.You will definitely come with a better result. And If you don’t want to this daily “As we are so lazy” Go with Sri Sri Tattva Digestive Cookies daily. If You like this article Share this with your friend relatives and the most Important “Jinko Constipation ki problem hai”. If you want some more achhe review on these topics or products. Let me know in the comment section.